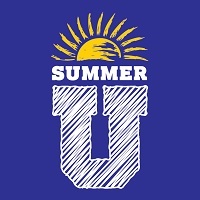 Summer U offers camps and academic workshops for passionate learners in grades 1-12. Our programs include everything from study skills, robotics, rocketry, computer gaming and development to theatre, visual arts, creative writing, world languages, and sports. Our mission is to expand the hearts and minds of students and to nurture excellence through academic, creative, and physical achievement. Come join us as we explore the Great Outdoors through construction, cooking, creating and more! Each week of camp will feature unique, exciting themes. Our days will be spent outdoors playing, learning and caring for our environment! Weekly sessions are available. Children ages 3 – 9 years are welcome. The camp for new to advanced sailors ages 8-17 is designed to teach basic to advanced sailing, sail boat parts, water safety, knot tying, and weather awareness all while having fun. Each week is designed for all ages and all levels. Go to www.indianapolissailing.org to find the registration form. Please mail application with a check to the address on the form. IRT brings theatre to life for your child! With four-week, two-week, and new one-week options, there’s something for everyone. Summer Workshops allow young actors of all experience levels to immerse themselves in work alongside IRT artists. Some programs require auditions; see web for details. Scholarships are available. Practice with the pros this summer with RoundTripper’s Summer Camps and Open Gym. At RoundTripper Sports Academy in Westfield, we play rain or shine, as RoundTripper utilizes 3 outdoor fields and a 40,000 sq. ft. indoor facility. Summer Camps, Open Gym, and Tiny Tots are all geared toward baseball and softball instruction. Ready for the best summer ever? We are your child’s summer camp destination. Our camp themes include art, theatre, sports, nature and science – so we’re sure to have something for everyone! Weekly camps will run from June 3 – August 2, Monday – Friday 7 a.m. to 6 p.m. – times vary by camp. Adventure Camp includes a backyard zip line, swimming, canoeing, fishing, horse riding, crafts, hiking, challenge course, archery and more! All outdoor action packed fun! Specialty Camp activities vary by camp. We offer Art Camp, Archaeology Camp, Maker Camp, Science Camp for Girls, Science Camp for Boys, and Photography Camp. Camps are in a unique environment, with well trained, skilled staff. Camp Cathedral is dedicated to providing every camper with a safe environment where he/she can learn, discover, and have lots of fun! We are offering more than 50 enrichment camps including theatre, music, art, and community service. Our ever-popular sports camps offer the opportunity to be coached by 10 state championship winning coaches! The camp schedule is designed to meet the summer needs of most families as we offer a large selection for seven (7) weeks of the summer. Before- and after-camp care is available! Explore the arts with Butler students! Guitar Camp in June and Strings/Piano/Arts Camps in July. No experience needed for Guitar and Arts camps. Arts Camp will explore dance, music, theatre and visual art. One year prior experience needed for Strings/Piano camps. Ages 7-11. Need-based scholarships available. The 2019 Indy Parks and Recreation summer day camp program offers a wide variety of opportunities including swimming, arts, nature, science, and sports and recreation. All camps follow a set of high program standards and are accredited by the American Camp Association (ACA). Limited scholarships are offered based on financial need. For more details and to download day camp registration forms, visit indy.gov/camps. Imagine a rainforest jungle filled with instruments, music and movement! Jungle Jams is a creative summer camp experience where campers learn about rhythm and groove through activities using drums, percussion, guitars, ukuleles and movement props. Summer camps at Bach To Rock allow children starting at age 4 to come learn about music in fun, innovative, and exciting ways! Choose from Rock Band, Glee Club, Rock City World Tour, Record A Studio Demo, Recording Arts, or DJ camps to make your child’s summer a rockin’ good time! You can register for half day and full day camps a week at a time all summer long. No experience necessary! Children ages 4 and up will be engulfed in the world of puppetry as they create hand, rod, string, shadow and black light puppets. Gluing, sewing, drilling, sawing and many more skills will be taught! Campers will learn some history of puppetry, view our gallery of international and vintage puppets, and get some hands-on-experience with our professional puppeteers. 9am-4pm each day. Limit 12 per camp (16 for half day camps). LEGO-Based STEM camps with a fun new theme each week! We build both motorized models & traditional models in every camp. Fun themes include: LEGO City, Super Heroes, Minecraft, Movie Characters, Remote Controls & More. LEARN while you PLAY! Ages 4-12. Full & Half Day Options. Marian University STEM Summer Camps provide an opportunity for 1st-8th grade students to experience many aspects of Science, Technology, Engineering and Math in active, hands-on ways under the guidance of area licensed teachers and assistants. Each week focuses on a theme and each activity aligns with Indiana Academic Standards. Kids can lose up to 2 ½ months of learning in the summer. Stay ahead of the curve with Sylvan’s summer sessions! Whether your student is looking to catch up or get ahead, we have a fun-filled, personalized program to help your family make the most of this summer and start next school year stronger than ever! Plus, with our flexible scheduling options, you can still soak in all the fun summer has to offer while making learning a priority! Call one of our four Indianapolis area centers today to see how your student can get started and avoid the summer slide! ISB’s pair of Swan Lake Summer Camps (half day for ages 5-6, full day for ages 7-9) incorporate ballet & tap instruction with art lessons, storytelling, craft projects, a field trip and more! The weekends with cherished mini-performances featuring choreography, props, and costumes created by the students.